Research & Development for Australian Engineering & Manufacturing. 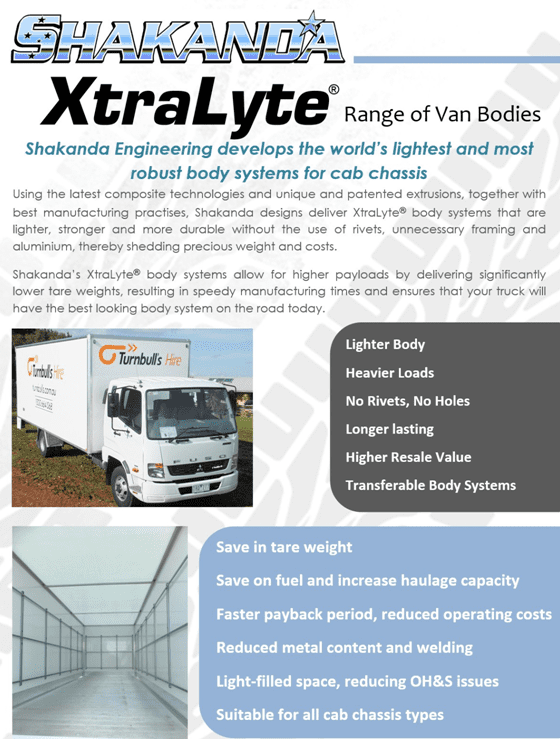 Using the latest composite technologies and unique extrusions, Shakanda designed the XtraLyte® van body system. 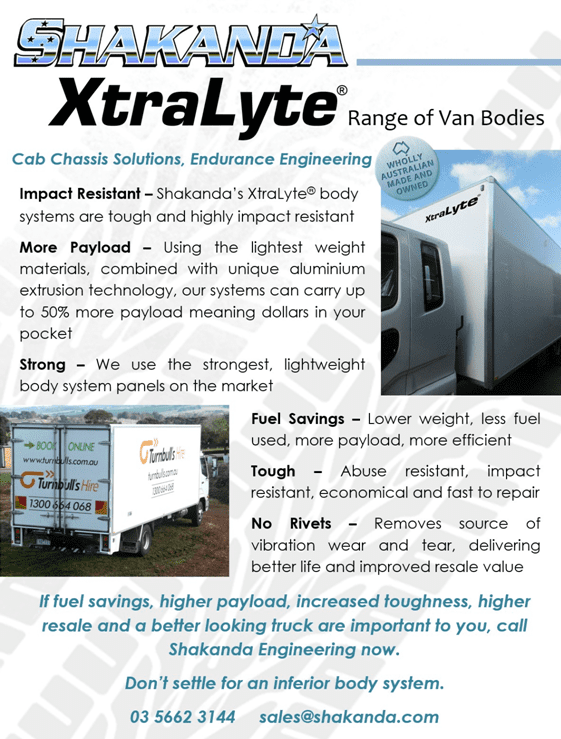 These bodies deliver a lighter, stronger and more durable van without the use of external rivets or framing, thereby shedding weight and costs and allowing for a higher payload. 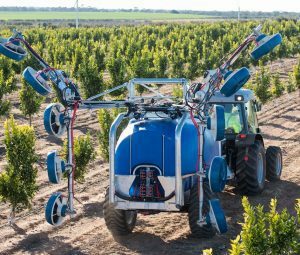 Drawing on the varied and extensive experience of a number of Shakanda’s senior staff members, Shakanda was well placed to take on the task of de-constructing and re-designing a unique and innovative agricultural sprayer, the likes of which have never been seen in the industry sector before. The Shakanda team have been working closely with the inventor over the last five years to assist in the development of the detailed specifications and engineering requirements for the unit. 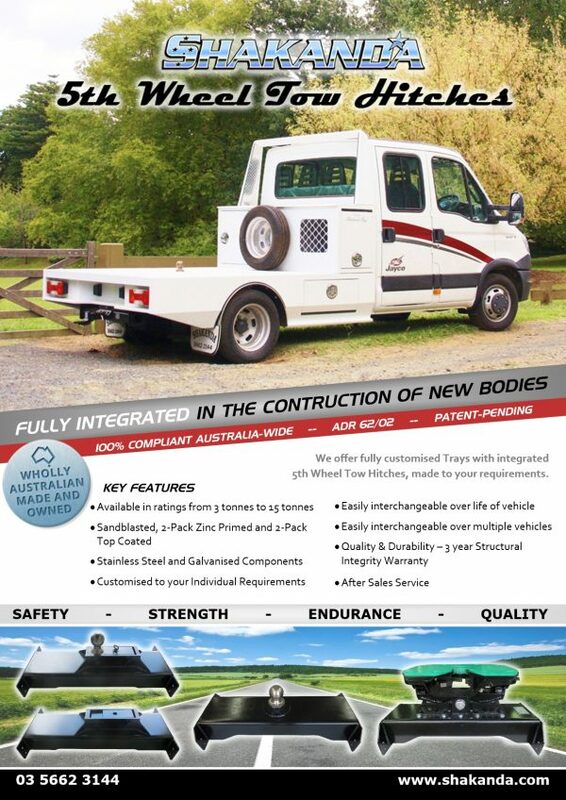 The hitch, capable of carrying a fifth wheel trailer of up to 15 tonnes, is integrated into the main bearers of the tray body of the towing vehicle, addressing the limitations with current designs, and is compliant with Australian design rule ADR 62/02. Shakanda Engineering Designed, Engineered and Manufactured a fully integrated Roll Over Protection System Tray to suit Toyota Hilux Dual Cab. 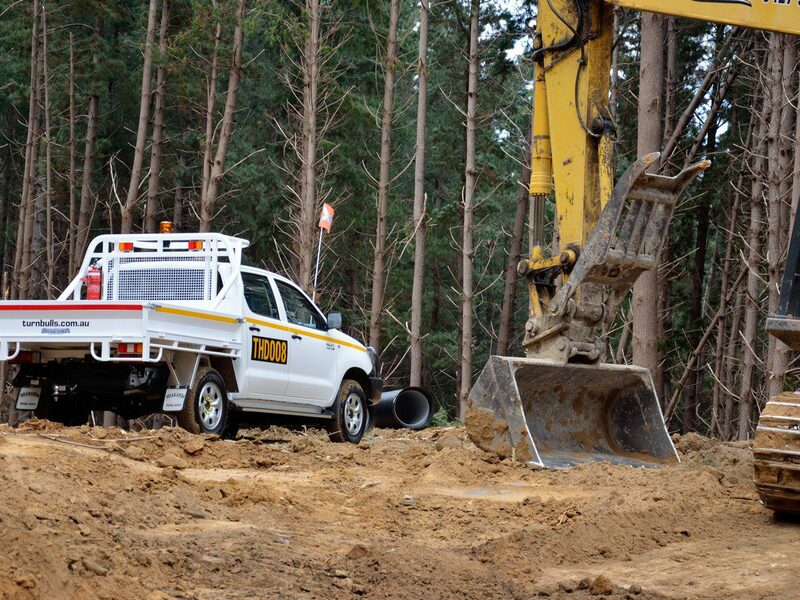 The System is built to Australian Standard AS2294.2-1997 and is in use within the mining industry all over Australia.